I’m a person who loves to travel, like there is not a place in the world I don’t think I would say no to visiting. I want to see the world by any means necessary so almost everywhere is on my travel bucket list. This post is actually falling on a very appropriate day. By the time this goes live, I’ll be packing to leave for Florida around 10 p.m. for most of my spring break. Travel is something that I hope is eventually an active part of my life. Right now it’s based on opportunities given to me and hardly ever found, I hope that soon it will become something I can do myself on a regular basis. There are a lot of places in this world that I would love to travel. I would like to visit every continent- including Antarctica, as well as all 50 states. There’s no where that off the top of my head I think “No, I don’t think I would go there.” I think that the world has so much to offer and that’s why I want to travel. I want to find all that it has to offer. I want to see everything it can give me. Right now I would say my travel dreams include going back to England, which hopefully I can do while I’m hopefully studying abroad next fall. I would also say that Charleston NC is still pretty high up on my list, it just looks so pretty. I would also really like to see things like the Great Wall of China, the pyramids in Egypt, and the Leaning Tower of Pisa. I want to adventure with my life. I really enjoy not knowing all there is to see because that means there’s more out there for me to discover. I don’t know what the world has to offer me. So my dream travel destination is really no where specific because it’s really just my dream to travel. 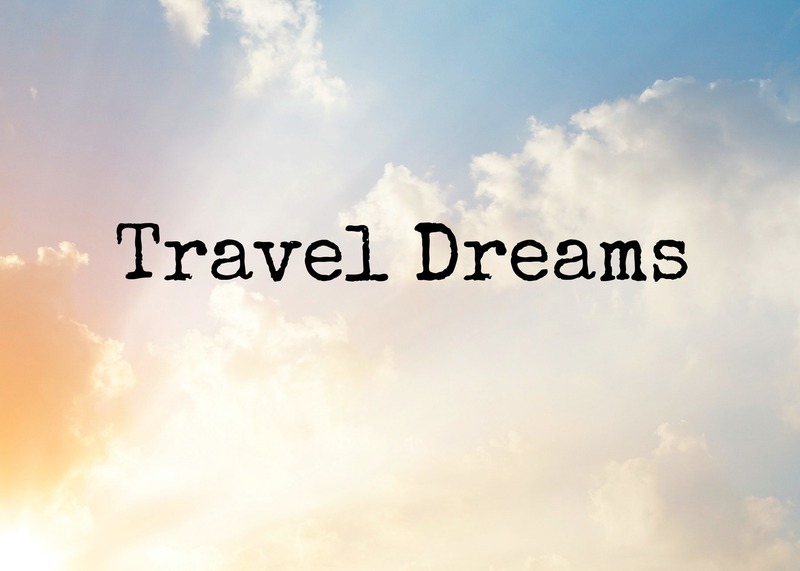 Do you have a dream travel destination? Have you been to Florida before? I hope you have a great time. I’d have to say that my dream vacation would be to go to Italy. Especially after taking Art History, I would love to go and see the paintings and all the beautiful things that it has to offer. I’m also part Italian/Sicilian so I would love to go there since it’s part of my culture. I’ve actually been to Florida several time, I had a great time thank you! I would love to go Italy too!